being moved with hydraulic jacks and tractor trailers by crews that act as if it’s just another day at the office. It’s easy to forget about how difficult it must have been in the days before these luxuries. I recently read an interesting article about the preservation efforts of an organization in Boston way back in 1925. Boston went through a growth stage after the Civil War and by the late 1800s and early 1900s many Bostonians were concerned about the preservation of the houses and buildings of Old Boston. 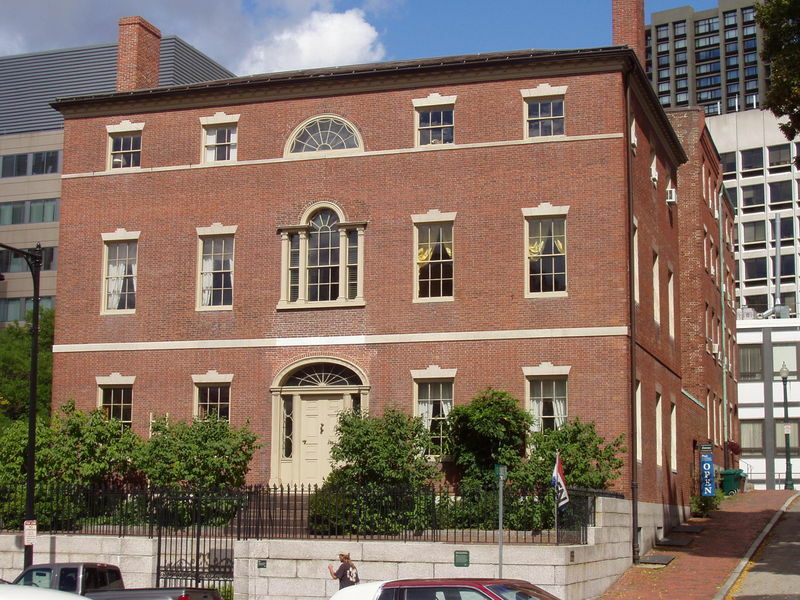 The Society for the Preservation of New England Antiquities (SPNEA) was founded in 1910, and in 1916 they purchased an old house dating back to 1796 as their headquarters. As luck would have it, the old house was slated for demolition in 1925 to make room for a street widening project. The SPNEA had already saved a number of old Boston houses and buildings by then and now they had to save their own. The house was moved back from the street 43 feet to save it. It moved at the rate of 7 feet a day and took almost a week; house moving was a little tougher back then. House moving today is still a major project, but most of the time it goes a lot better than 7 feet a day. Thankfully there are many companies now that specialize in moving houses, and moving an old house to save it from demolition has become a viable solution in many cases. Recently an old house in Seattle was moved a mile to save it. People lined the streets to watch it go by, just like a holiday parade in a small town. House movers in Grahamsville, New York, had a little different approach to the task. They were able to use bulldozers to move a 100-year-old house from its location to where it will become part of a living museum. Regardless of the method, however, the end result was the same–another piece of our history was saved.